Each summer is an opportunity to send your kids to camps that will give them new experiences, a chance to take risks, and maybe even learn lifelong skills. In this article, we’re going to showcase one of those camps, and one of those skills: Sew Philly in Philadelphia. Sew Philly gives both boys and girls the chance to experience a challenging introduction to all things sewing: stitching, fabric, bobbins, sewing machines and more. Everyone who works at Sew Philly is passionate about their craft, and they pass that passion along to the students, encouraging them to be creative and take on non-traditional projects. Who knows — this camp could be your own aspiring young designer’s first step into a career in fashion! From Fashion Design Saturdays to a fashion design course to machine sewing, Sew Philly has something for everyone. Prices start at $375 for a full week, and they offer 10% sibling discounts. Kids, start those sewing machines! It’s that time of year when you have to start thinking about Summer camps and figuring out which ones to choose without breaking the bank. Philadelphia has lots of great options for both sleepaway camps and day camps. Here are five unique and affordable options that parents love. Delaware County Christian School is hosting a number of great programs at their beautiful locations in Devon (K-5th Grade) and Newtown Square (6th-8th Grade). Campers engage with a great balance of camp time, field trips and service opportunities. U-Pick-it Specials include archery, swimming, nature studies, photography, arts and crafts, cooking and high and low ropes courses! Only $235/week until June 1rst. You may not have figured out your vacation schedule for next summer yet, but it’s time to start researching summer camps! Of course you’ll do lots of research online, but Camp Fairs are a great opportunity to meet Camp Directors and Staff and learn about new and interesting camps. Finding new opportunities that allow your child to dive deeply into some of their favorite hobbies and sports – that’s what summer is all about, right! If you’re looking for a fun camp for your kids on days school is out, but you’re at work, you’re in luck! 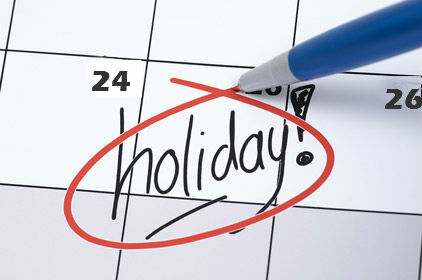 There are some great choices for those one-day holidays and also the longer breaks. Many school districts are off for Rosh Hashanah, and others are off in October for Columbus Day and fall break. Some of these camps even offer programs for Teacher In-Service Days and Snow Days! School may be out, but science is in at The Franklin Institute. A fun-filled neighborhood camp that gives your child exposure to many different types of activities such as sports, circle games, arts and crafts, a game room and swimming. Days when schools out, their year-round exploration camps offer a relaxed combination of hands-on activities, including hikes, stories, crafts, science experiments and free exploration. Sept. 25: Hawk Mountain Field Trip: Hike in search of the season’s first migrants and see bald eagles, hawks, and falcons soaring above. You bring the hiking shoes, they’ll provide the binoculars. One day camps are designed to keep kids entertained and engaged while they learn something new and fun. Kids will leave with one or two completed projects. All supplies and materials included. Know of some other places that offer great programs? Add a comment and we’ll help even more families find them! TV and movies are entertaining and can be educational, but if your family has a budding actor, it’s even more enthralling. 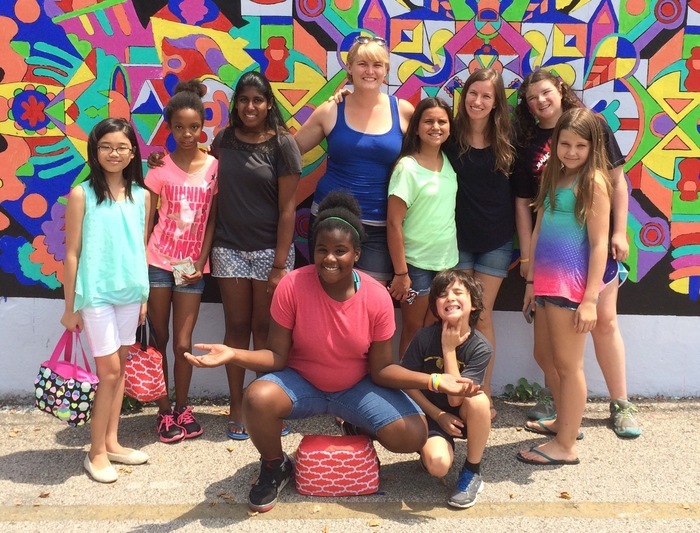 We asked The Actor’s Center, in Philadelphia, to tell us about their acting summer camp. How would I know if my child has the potential to be on TV or movies? If your kid has expressed interest in being on TV they are halfway there. Are they comfortable in front of people, are they funny or can they convince you of many things, DO they enjoy being the center of attention , and do they act out things they see in the movies? Is there a personality or temperament that is common among successful child actors? Some actors have big personalities and others are shy. There are roles for comedians and serious roles as well. How does The Actors Center help? In addition to providing classes in Hip-Hop, Stage Combat, TV Commercial Training, Animated Voice-Over, Improv, and Music, students are also taught how to audition for casting directors and agents. What kind of skills are needed to participate in camp? There are no specific skills needed. Kids just need to come prepared to listen and learn. What type of instructors are at The Actors Center? The Actors Center has some of the best teachers in Philadelphia, Sandra Turner has been with The Actors Center for 15 years and has been in Many TV shows, movie and plays, Kristen SchScierier is one of the best improv actors in the East Coast, Elijah Brown hosted the Tribecca Film Festival and was a finalist in Americas Got Talent and The X Factor. Kenneth McCgregger was Magnetos’ Father in X- Men, the guy who punched Tom Cruise in Cocktail, and has been in hundreds of films and commercials. 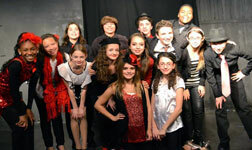 For select weeks this summer, The Actors Center is offering their summer camp for $100 off. Look for their Early Summer Special. You can be the lucky winner of a free week of summer camp. There are many camps on ActivityHero to choose from — including Lavner Camps, Drama Kids, and more! Enter by March 31 for your chance to win – no purchase necessary. Soccer camps are wildly popular all throughout the United States, and there are plenty of ways for kids to jump in and hone their skills both near home and overnight at a destination camp. Summer is a great time to focus on a new sport, or to sharpen up their game before team tryouts for the year. Lavner Camps offers soccer as well as other sports camps. They recently recruited Gordon Reid, a native of Glasgow, Scotland, as soccer director. There are many locations offered, as well as full or half day options. Universal Soccer Academy Camps is a small but prestigious soccer school. Recognized internationally, it is considered one of the best soccer academies in the USA. These camps are specifically designed for enthusiastic young soccer players, and provide an environment that allows campers to improve their entire game. Greenhill Day Camp – Many parents appreciate this camp’s option of signing up for only one week at a time, so both money and summer scheduling is saved. Campers enjoy a wide range of activities, which includes soccer play. Free after camp care is available. Lehigh University Sports Camps – Each summer, those local to the Bethlehem, PA region come to Lehigh University to enjoy one of over 45 different camps designed for everyone from beginners to those considered to be pros. 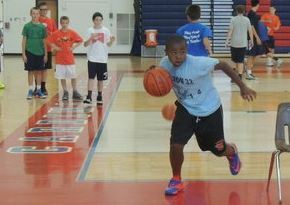 Camps available for preschoolers through high school. Summerside on the Hill Summer Camps – Also in Philiadelpha, preschoolers through high school students enjoy the Blue Devils Soccer Camp and other great options. Camps vary in length, duration and focus so there is truly something for everyone. 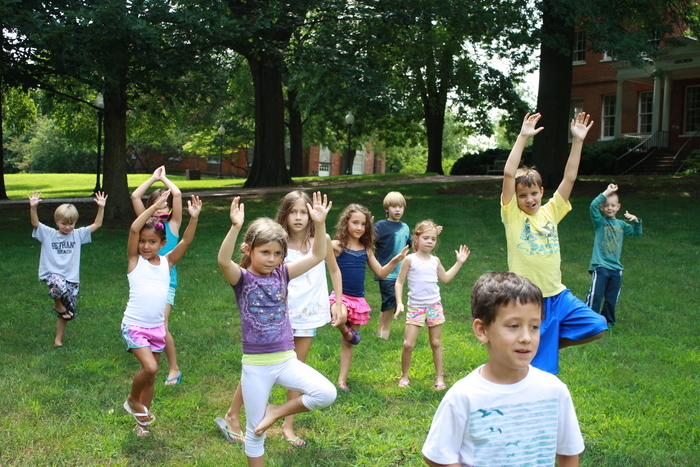 Penn Charter Summer Camps – Penn Charter offers opportunities for those aged three to 15. Children from all over the Philadelphia area can come enjoy a 7-week sports camp that will cover 8 sports including soccer. Union Soccer Schools – Known as the official summer camp of the Philadelphia Union soccer team, these week-long day camps are designed for kids aged 6-14. Your kids will learn directly from Union players and coaches, and various discounts are available. They have multiple locations throughout Pennsylvania. If your child has expressed interest in learning a new sport or if you believe they just need to get more active this year, then soccer camps are a great place to start.